WPML has a feature which is great for translating, but slow down your site – only for you, not for your visitors. Good news is that you can disable it if you don’t need it. Go to the WPML -> String Translation page and scroll down to the Track where strings appear on the site section. When you check the option Track where strings appear on the site, WPML keeps a record of the PHP and HTML code that calls strings in your site. With this feature turned on, if you see a string on the WPML -> String Translation page and you are not sure where it is used, WPML will tell you when you click on the little “document” icon next to the string. However, to do this, WPML needs to write into your database which obviously slows things down. 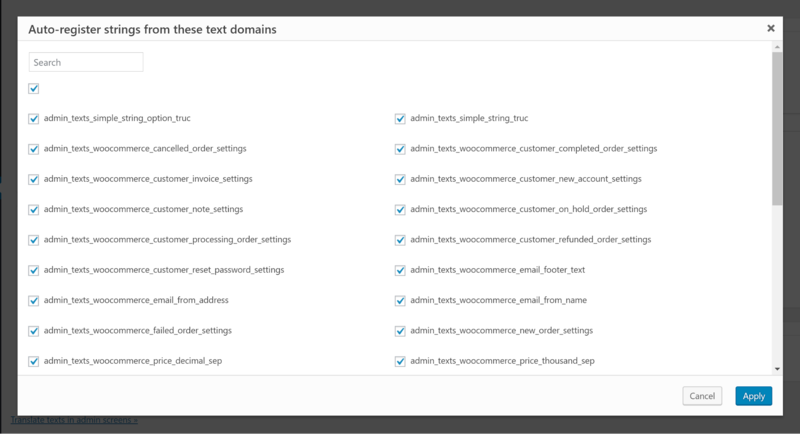 Note: Previously, we recommended to exclude all your domains from the Auto register strings for translation feature for performances issues. This feature allows WPML to check if translatable strings are already registered on the String Translation page and, if not, add them. However, recent changes in the way we handle strings have shown a performance improvement when you auto register strings for translation. Because of this, we recommend to make use of it.